In today’s rumor rundown, one NHL insider suggests a couple of landing options for netminder Sergei Bobrovsky, Josh Ho-Sang thinks he’s being buried in the Islanders’ system and Henrik Lundqvist has no interest in leaving the Rangers. Meanwhile, the Kings won’t head outside the organization despite their goaltending troubles and the Hurricanes might be close to a long-term deal with one of their stars. Two Teams Looking at Bobrovsky? Pierre LeBrun was on TSN 690 and discussed possible destinations for Columbus Blue Jackets goaltender Sergei Bobrovsky if he’s made available. 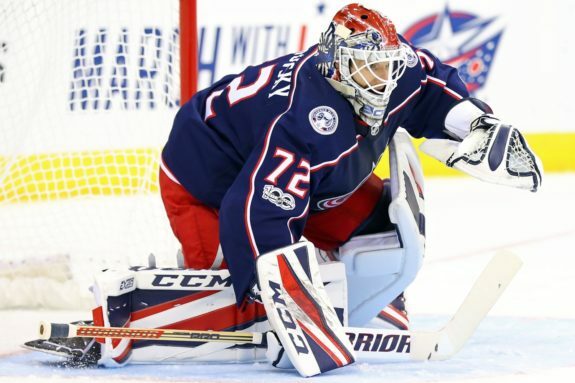 Since the start of the season, rumors have persisted that Bobrovsky will move on either during or after the season. LeBrun first figured the New York Islanders would be a fit. “Well, it’s hard for me not to think Lou Lamoriello wouldn’t look into it,” noted LeBrun. That said, LeBrun figured it adding Bobrovsky might be something the Islanders look at in free agency versus in trade during the season. The cost of Bobrovsky in free agency might not be a huge concern since the Islanders have the salary cap room. LeBrun then stated that while he hasn’t heard anything about the St. Louis Blues, and he thinks they could make some sense. “If Jake Allen doesn’t firm up his game, does St. Louis look at that?” Money is a bigger issue for the Blues who do not have the space the Islanders do. 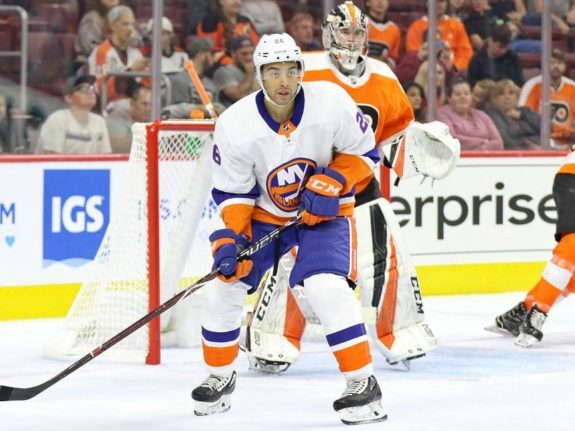 Speaking of the New York Islanders, it appears young and talented, but underwhelming forward, Josh Ho-Sang thinks he’s spinning his wheels with the organization and has run out of time there. Elliotte Friedman was on Sportsnet 650 yesterday and responded to a question about whether or not teams would be interested in trading for him. After Ho-Sang told a reporter from the New York Post, “They tell me they want me to be a top-six forward up there, but I’m not a top-six forward down here, so it’s confusing,” he suggested it felt like he was “sprinting with a rubber band on.” He added that he couldn’t understand why the team was essentially burying him, even in the minors and said, “If I was going to say anything, it would be just watch. I’m just pointing it out.” Friedman didn’t necessarily agree Ho-Sang was being buried but he did believe there might be a team interest in acquiring the player, but only if the price were right. Friedman said, for every Taylor Hall who grows with his second team, there are guys who move on to another team and still struggle. With the New York Rangers rebuilding and often struggling, many have wondered what that means for goaltender Henrik Lundqvist. 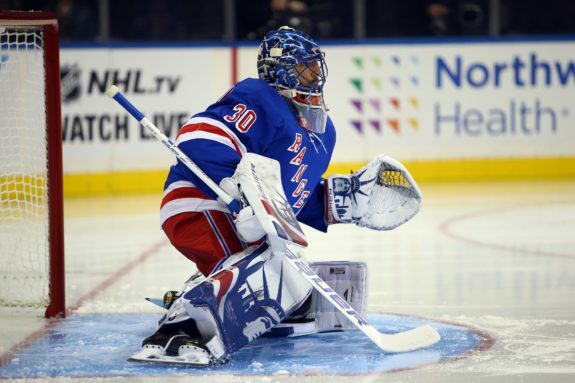 Lundqvist has been a mainstay in net for the Rangers for close to 13 seasons and never played for another NHL organization. Would he be interested in finishing his NHL career with a team that had a better chance of winning? Lundqvist,36, still has a contract that runs with the Rangers through the 2020-21 season and a cap hit of $8.5 million. Whether or not the Rangers would ever consider trying to trade him is another story. With Jonathan Quick’s looming knee surgery, the LA Kings do not plan to explore the trade market for a short-term netminding replacement, reports Curtis Zupke of the LA Times. The speculated return time for Quick is three-to-six weeks but with the way the Kings have played this season, they may already wonder if adding a bonafide goaltender will even help their season. Rumors are, they’ll turn to Jack Campbell and veteran Peter Budaj to hold down the fort in his absence. Hurricanes and Aho Close to Deal? The Hurricanes are working on a long-term extension for forward Sebastian Aho, reports Chip Alexander of the Raleigh News and Observer. GM Don Waddell said he’s hopeful that deal will be finalized before the end of the season and before Aho becomes a restricted free agent this summer.